Malaysia's New PM Ready to Pardon Opposition Leader - Integration Through Media ....! 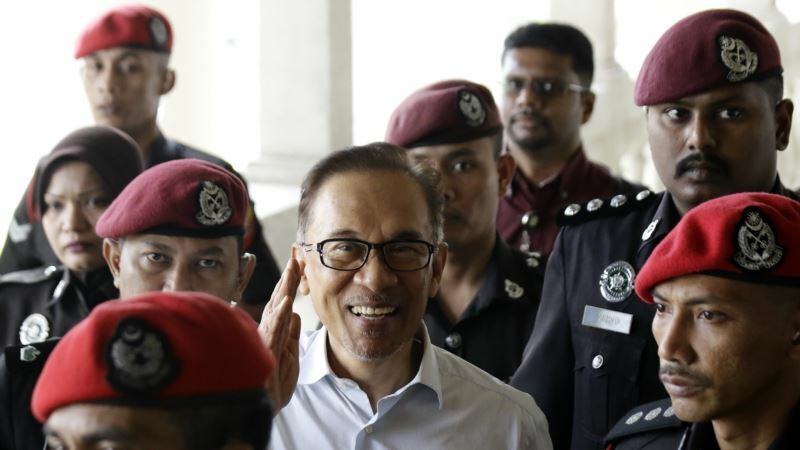 (VOA): Malaysia's newly installed prime minister says he is ready to make good on a campaign promise to pardon opposition leader Anwar Ibrahim. Mahathir Mohamad said Friday, “We will begin the . . . proper process of obtaining a pardon for Datuk Sri Anwar,” using a Malay honorific. Mahathir said the king “has indicated he is willing to pardon” Anwar. Mahathir has said he is not seeking “revenge” against his political opponents, but promised to restore law and order.